In the aftermath of the euro crisis and at the beginning of the Brexit process, when a new tide of populism and nationalism is rising and new European leaderships emerge, a historical question reawakens: what is the future of Europe? ADEMU’s scientific co-ordinator Ramon Marimon examines the options. If it were a scientific question, which it is not, we would first qualify the enquiry. Britain is part of Europe – no matter what – as are Iceland, Switzerland and ‘the European sides’ of Russia and Turkey. These are but a few countries which are part of Europe but which are not – or soon will not be – part of the European Union. So we should hold back and limit the question to the politically more tangible European Union, or to the euro area (EA), which is economically more tangible, and our answers will perhaps one day be applicable to the wider, less tangible, Europe. In asking ourselves this (these) more workable question(s), we must be thankful to the European Commission for having put on paper in black and white ‘The Future of Europe’. The EU (and also the EA) have broken with their old habits in not telling us the answer but describing just five scenarios, which seem a good starting point for our enquiry. The scenarios are: 1) Carrying on; 2) Nothing but the single market; 3) Those who want more do more; 4) Doing less more efficiently, and 5) Doing much more together. I like it this way because, as we can see, just using deduction – of course, always enlightened by some induction – we must arrive at the conclusion that there may be five scenarios, but there is only one solution. Let’s take it point by point, although not in order. “Member states deciding to share more power, resources and decision-making across the board.” Certainly it is a feasible scenario; however member states, like people, choose something because it is preferred or necessary, not just because it is feasible. In a 2025 scenario a “more Federal European Union” is not a ‘revealed preference,’ nor a necessity; it is wishful thinking (but utopias often do move people). By definition, the status quo is the most feasible scenario and, by default, may even be preferred. Unfortunately, it is a scenario of denial: necessity and opportunity play against it. The necessity is to make the EU – and, in particular, the EA – more resilient; to avoid new euro crises; to overcome the wave of euro-scepticism; to strengthen the EU – and EA – institutions. The opportunity is ‘waking-up’ after Brexit, getting new leaderships on board, and showing what the EU can deliver (but any solution must take the status quo as its starting point). We are now left with two scenarios. A variation on (1), since already now within the EU those who are in the EA do more, extending the ‘more’ to other policy areas. An obvious scenario in a free world of sovereign states, except that doing more is no guarantee that we do anything right: the problems with (1) remain. Furthermore, shared rights and responsibilities are the strength of a union, and its democratic institutions must guarantee the enforcement of rights and the accountability of the shared policies, something which is not always easy to accomplish with variable geometries. Too much rhetoric and broken (implicit) promises and (signed) pacts have fueled mistrust in, and discontent with, the EU institutions. Their inability to draw clear lines between what the EU (or the EA) can and cannot offer, between what is a goal or a wish and a commitment, between what is the responsibility of the Member States and what of the EU have caused suspicion. Therefore, there is much to be said about not claiming to do what cannot be effectively done, being the EU, the EA or the MS. However, this does not imply that less should be done. In some policy areas, doing more, at least by a group of EU member states, can be an improvement and an example for others. In sum, choosing among scenarios (3) or (4) does not seem the right solution, but they do suggest one. Here, I use efficiency in a broad sense, not only in the economic sense, to also account for democratic accountability and proper subsidiarity. It defines a principle, more than a scenario, to solve the (constrained) problems and challenges that the EU and the EA face (and we should not forget the previous three ‘buts’). As researchers, we can endorse this solution by proposing that the Brexit negotiations respect the non rhetorical part of the EU’s free movement of knowledge: “By removing barriers to the cross-border mobility of researchers, students, scientists and academic staff and by providing researchers with ‘better career structures’ including family-friendly career paths.” (EU Council, March 14, 2008). The italicized non rhetorical part here is redundant within the EU, given its free movement of people, but it is crucial after Brexit. Britain is a key player in the European research area (ERA), and it is not in the interests of the UK or the EU to restrain the free movement of knowledge, which is at the core of the ERA. Social scientists can use this 3½ principle to reassess the fiscal and monetary framework of the EU and, in particular, of the EA. Which, of course, is the objective of ADEMU. 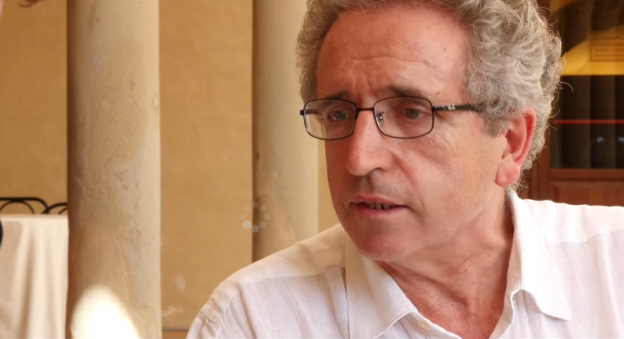 Ramon Marimon is ADEMU’s scientific coordinator and a member of the executive committee of the FP7 coordination action Cooperation on Economic Research in Economics (COEURE). He is professor of economics and Pierre Werner Chair at the European University Institute (on leave from the Universitat Pompeu Fabra), chairman of the Barcelona Graduate School of Economics, and research fellow of CEPR and NBER. He is former president of the Society of Economic Dynamics (2012 – 2015) and of the Spanish Economic Association (2004), director of the Max Weber Programme of the EUI (2006 – 2013) and chair of the European Economic Association Standing Committee on Research (2008 – 2011). He was secretary of state for science and technology in Spain (2000 – 2002) and served in several expert groups advising the European Commission on R&D and higher education policy. He was a co-founder of UPF and the first director of CREi. His research interests include macroeconomics, monetary theory, contract theory, learning theory and labor theory. His research has been published in Econometrica, Journal of Political Economy, American Economic Review, Journal of Economic Theory, Review of Economic Dynamics, and other journals.